Inventory We are a resale marketplace, not a box office or venue. Ticket prices may exceed face value. This site is not owned by Morrison Center . The Morrison Center in Boise, Idaho is one of multiple venues associated with Boise State University. 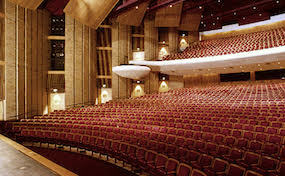 The Formally named Velma V. Morrison Center for the Performing Arts boasts nearly 2000 seats and is the main venue for theatrical performances and some more intimate stage performers. The stage performances can include concerts and comedic events as well as musicals, broadway styled events. In 2015 Dave Chapelle will bring his act to Boise. No matter what you are looking for the Morrison Center in Boise offers a fantastic value for entertainment by the best of the best. CenterBoise.com is a privately held company that specializes in the online sale of tickets in the secondary market. We are not affiliated with any primary box office or official site. We are a privately owned and operated company that concentrates in all online sales in the secondary ticket market. To purchase tickets at anytime simply click on the event you wish to attend or call our operators at anytime.